Many of you are probably familiar with the bar, Trick Dog, in San Francisco. Not only is Trick Dog known for its delicious cocktails (more on that in a bit), but likewise for its incredibly creative bi-annual cocktail menus. Some notable past menus have included: pantone color swatches, Zodiac signs, Chinese takeout menu, local SF artist murals, and Trick Dog Airways. 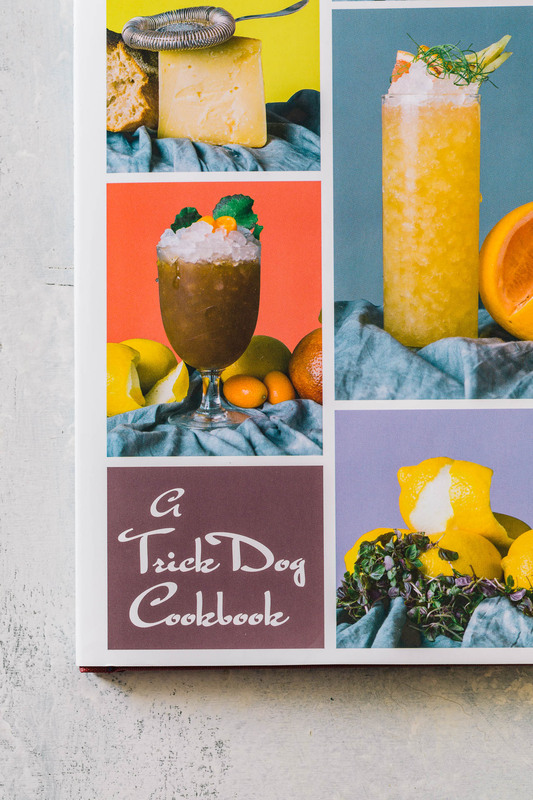 Recently, Trick Dog launched menu number 12, the Joy of Cocktails . . . a true celebration of chefs everywhere. The menu contains 13 cocktails named for 13 different San Francisco restaurants. Each cocktail is directly inspired by each chef (16 in total; there are a few duos) and their cuisine, drinking preferences, culinary philosophy, etc. 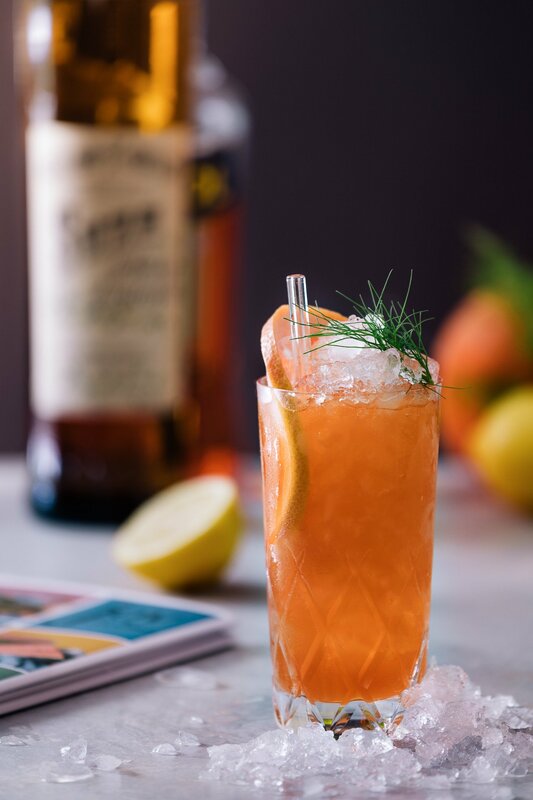 Some names include: Stuart Brioza and Nicole Krasinski (State Bird Provisions), Brandon Jew (Mr. Jiu’s), Dominique Crenn (Atelier Crenn), as well as the cocktail I bring you today, perhaps San Francisco’s most buzz-worthy chef/restaurant . . . David Nayfeld (Che Fico). As you’ll see, this cocktail isn’t the simplest to make. In fact, it requires quite a bit of prep such as juicing fennel, and infusing your own blackberry vinegar. Additionally you’ll have to source some obscure liqueurs, such as Aveze (be sure to check my recipe notes below for some tips for this particular recipe). I should also mention that there are even more intricate recipes than this in the book. 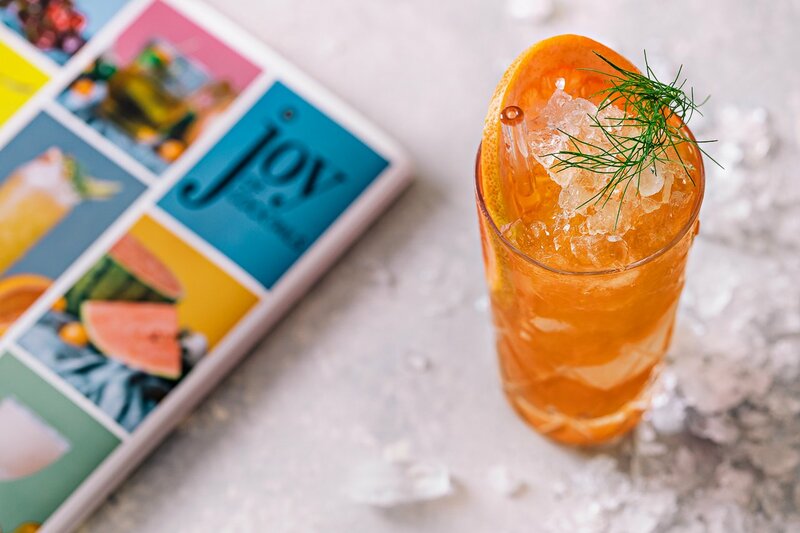 However, my hope is that if you don’t end up giving this delicious cocktail a try at home (it’ll be worth it, I promise), that at least it inspires you to visit Trick Dog, taste as many cocktails as you and your party can muster, and hopefully purchase the Joy of Cocktails book to support a truly special cause. Proceeds from each purchase will benefit La Cocina, an incubator assisting low-income food entrepreneurs to formalize and grow their businesses. A uniquely refreshing cocktail from Trick Dog's 12th cocktail menu, The Joy of Cocktails. 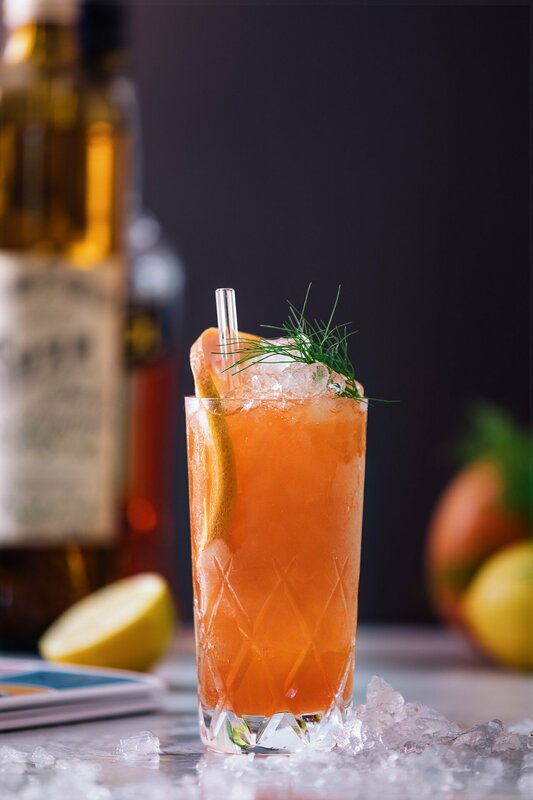 Shake and double strain into a collins glass. Fill with crushed ice. Garnish with fennel front and grapefruit wheel. Juice fennel. Combine with sugar and salt in a saucepan. Heat to incorporate but do not boil. Strain. Store in the refrigerator. Lightly crush the blackberries. Combine all in a non-reactive container with vinegar and vodka. Let steep for one week and strain. Trick Dog uses Old Grand-Dad bourbon, but feel free to use another quality high-proof bourbon if necessary. Aveze is a gentian liqueur, and may be hard to find. Suze, another gentian aperitif would be a decent substitute. You'll need a vegetable juicer to juice the fennel. Note that you'll need to allow for one week in advance to steep the blackberries in the vinegar. This cocktail looks crazy! Fennel and blackberries? Beautiful! Quick question! Aperol has a very syrupy and thick texture. Does this drink have a similar texture or is it diluted. I want to try this drink at home but not everyone in the house loves syrupy drinks! Thanks for letting me know! I am new at making cocktails! Thank you Homer!! Let’s head over to Trick Dog soon. You won’t be disappointed!